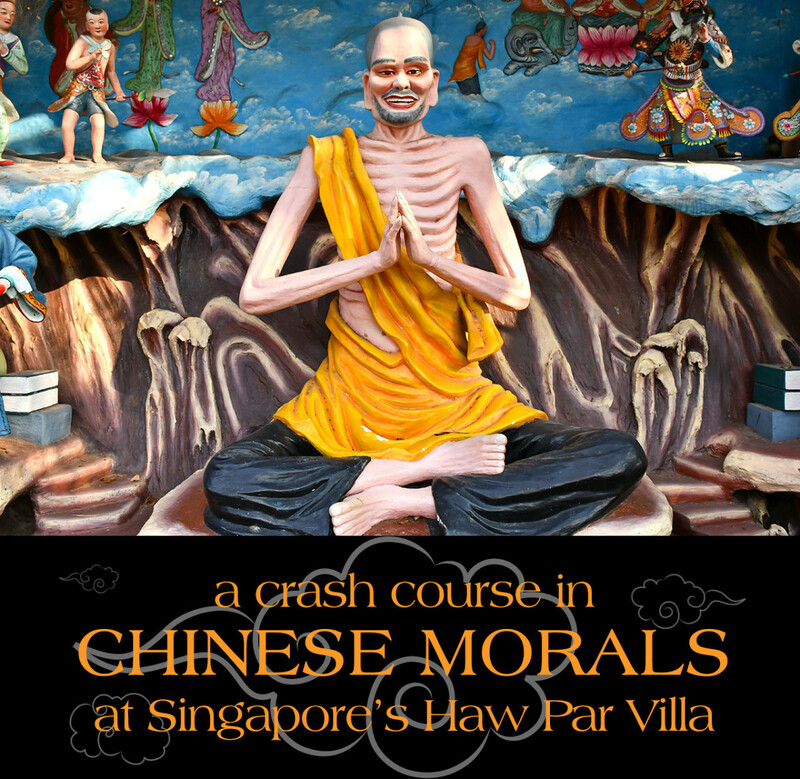 Spend an afternoon at Haw Par Villa, and you'd be an informal expert on Chinese morals. 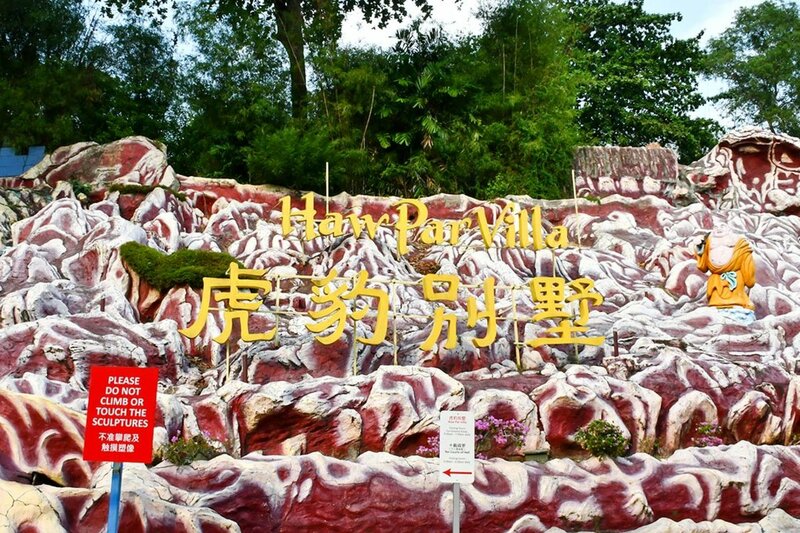 Haw Par Villa is renowned for being Singapore’s weirdest attraction. 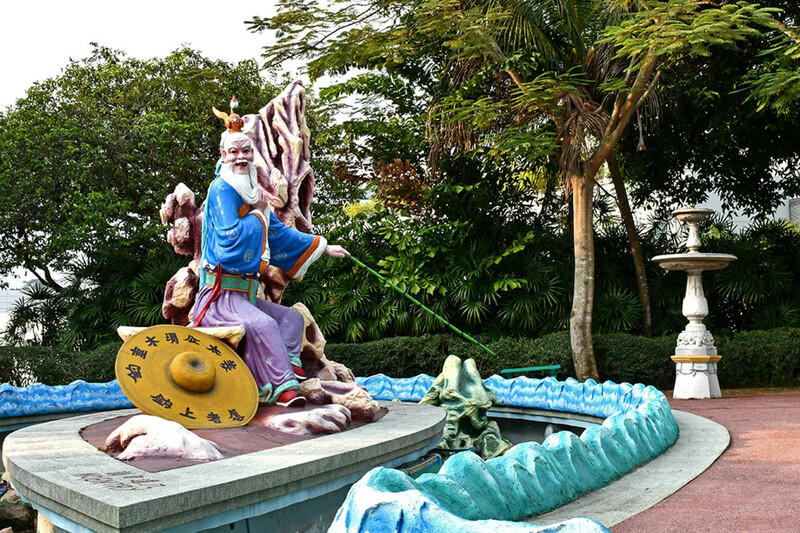 Because of that, it’s often forgotten that the statue park was originally created by its founders, the Aw Brothers, to celebrate and promote classic Chinese morals. 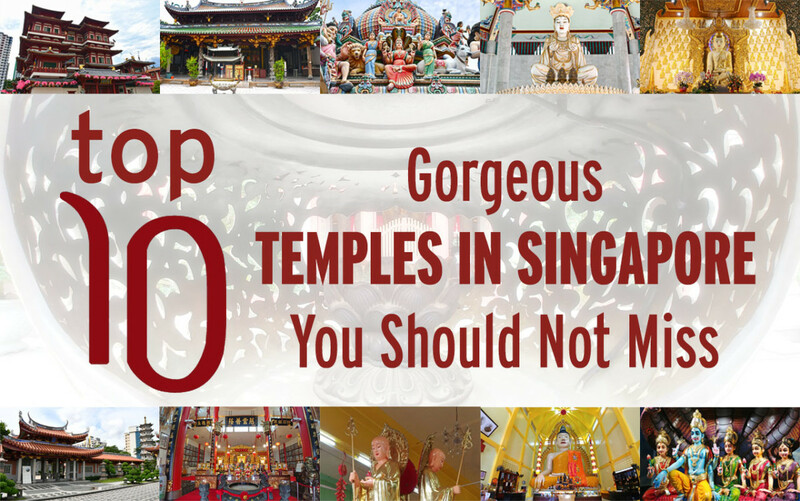 Here are 9 “lessons” on classic virtues that you would encounter if you were to visit this truly bizarre attraction. The dioramas depicting the tale of Madam White Snake are near the main entrance. Here, Fa Hai tries to convince Madam White Snake’s husband to use a demon suppressing talisman against her. The legend of Madam White Snake is one of the most well-known legends in Chinese mythology. It is also one of the hardest to interpret, with the story exploring a broad range of themes such as inter-racial unions, moral obstinacy, blind fury, and karma. If there’s any overall takeaway, it is perhaps that of destructive cultural differences; the tragedies in the latter part of the myth all stem from Monk Fa Hai’s fervent opposition to a snake spirit marrying a mortal, in spite of her being benevolent. Note too that the trope of forbidden unions recurs often in Chinese myths. This might or might not be reflective of oppressive class differences during Ancient China. The characters on the sage’s hat means, the willing jump at the bait. This is one of several Chinese sayings associated with Jiang Ziya. Historically, Jiang Ziya was a strategist who assisted the Zhou Kingdom dukes in overthrowing the final Shang emperor, thereafter also establishing the ancient Zhou Dynasty. He is, however, more widely remembered as the magical sage leading the Zhou forces in the Chinese fantasy saga, Investiture of the Gods. As for his symbolism in traditional Chinese values, any discussion of this could easily extend into a thesis, a task further complicated by modern beliefs that the Zhou rulers rewrote history to vilify the defeated. What’s undeniable, on the other hand, is that Jiang is widely seen as representative of heavenly justice. Revered as they were, Chinese rulers and leaders were expected to put their followers before themselves. Failure to do so often invites punishment by the gods themselves. The most legendary “band of brothers” in Chinese history. A major event in the classic Chinese saga, the Romance of the Three Kingdoms, the declaration of brotherhood by Liu Bei, Guan Yu, and Zhang Fei has for centuries, symbolized loyalty and devotion to the Chinese. To a great extent, it represents honor and integrity too; Guan and Zhang remained loyal to Liu Bei throughout their lives despite their faction being the weakest. 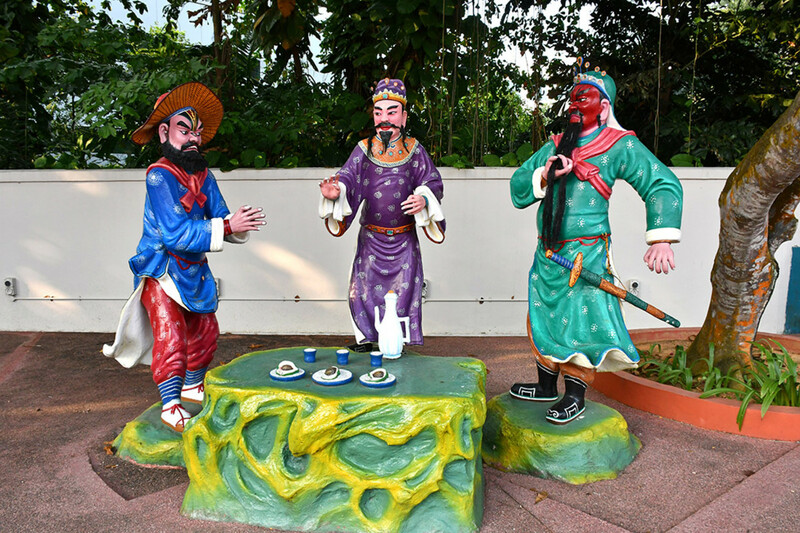 One of the tamer displays of Haw Par Villa, this statue trio is located a shady tree corner, at a quiet spot near the rear of the park. 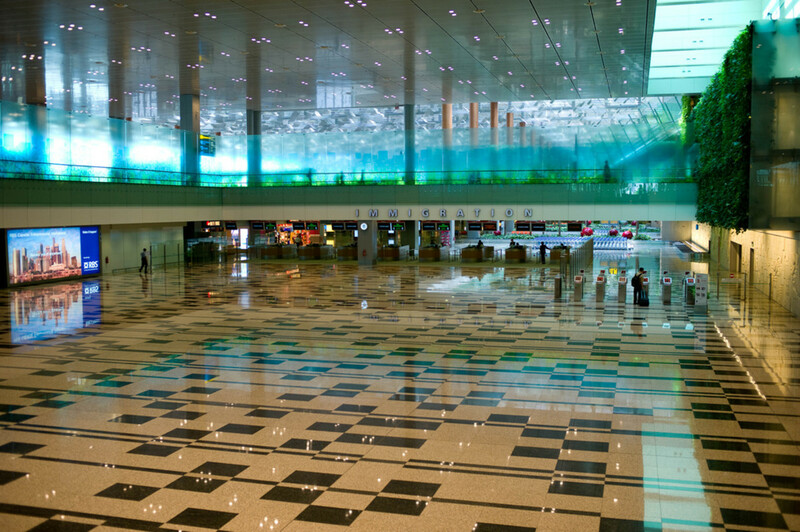 The serene environment certainly provides for lofty reflections. It also invites the question of, would you remain loyal to a comrade in the face of overwhelming odds? What is the Chinese moral expounded by this display? If any? 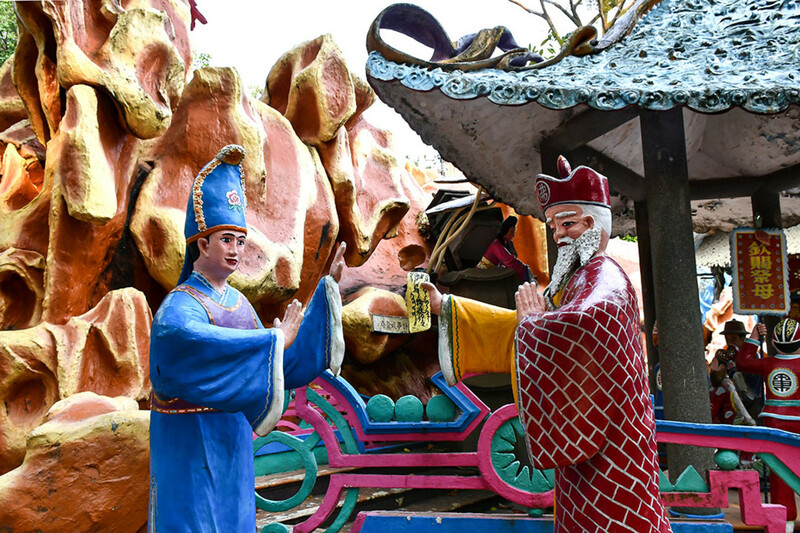 This bizarre display near the heart of the park is one of the most baffling in Haw Par Villa. And not only because there is no explanatory plaque accompanying it. 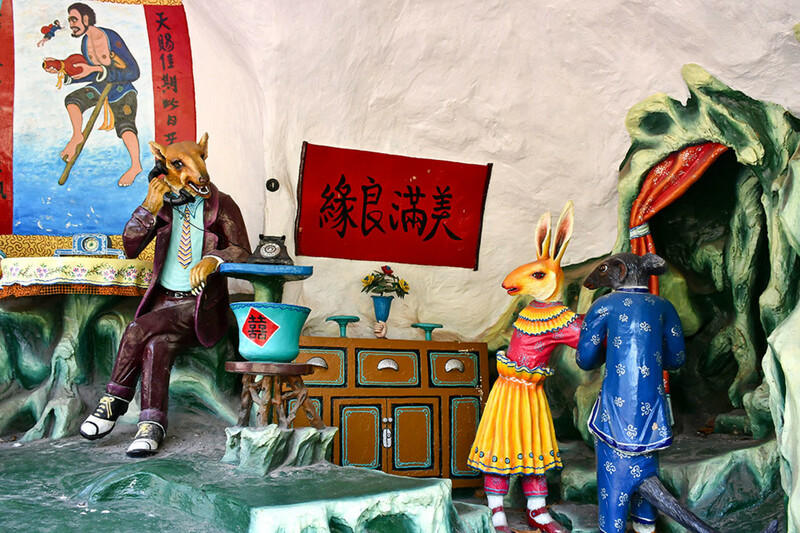 The wolf bridegroom and the rabbit bride strongly indicate a disastrous and “carnivorous” union. On the other hand, everything else in the homely surroundings suggests a blissful marriage. 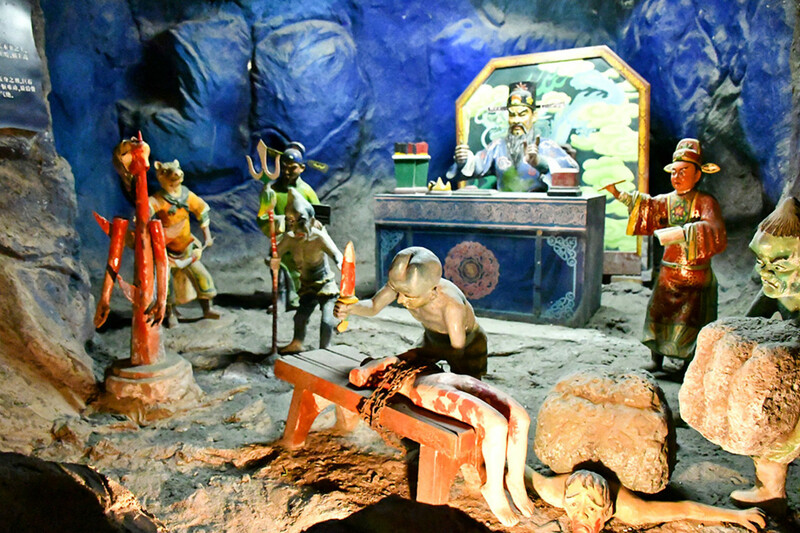 Given Haw Par Villa was built in the 1930s, a period when China was suffering terrible social upheaval, this macabre scene could be a condemnation of a tragic practice then; the selling of daughters to rich men for marriage. Alternatively, it might refer to naïve girls marrying wealthy men for money. These girls, naturally, had no idea what they were in for. It’s always the same downwards spiral the moment you indulge in vices. 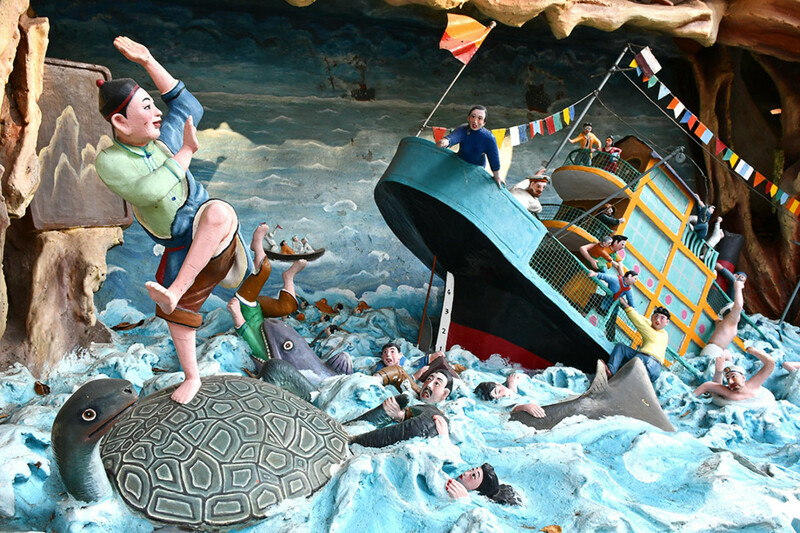 This is part of an extensive rundown on classic Chinese morals and virtues, in the form of a macabre cavern slicing through the northern segment of Haw Par Villa. Notoriously unapologetic in its portrayal of what’s morally superior or reprehensible, the lessons here are obvious. Pretty emphatic too. At the same time, a unifying theme seems to be that of indulgence leading to violence, followed by open oppression of the weak. 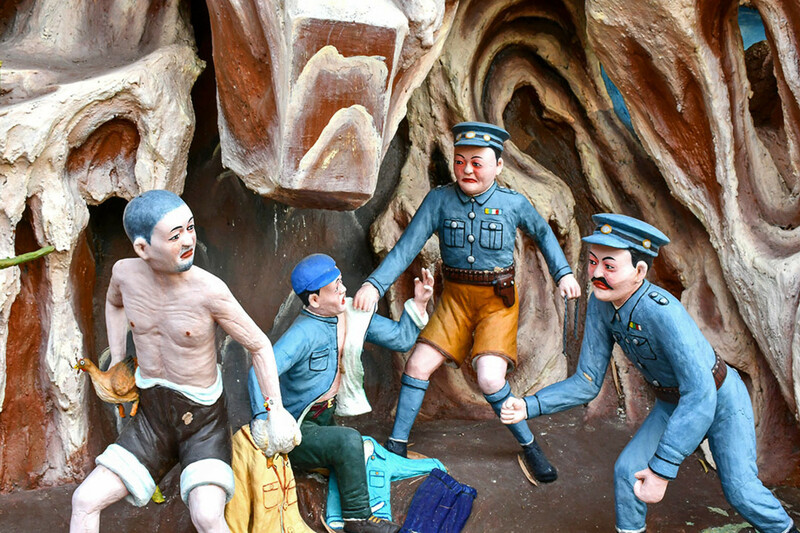 In short, this grim diorama and its siblings are not merely expository vignettes about classic Chinese morals, they could be considered as socio-political commentaries too. In some ways, they are more chilling than even the park’s Hell’s Museum. Wang Qing looks rather gleeful in the display. Which somewhat compromises the message of his story. The Grateful Tortoise tells the story of Wang Qing, a kind man who pitied a tortoise being carried to a market for slaughter. Using his own money, Wang bought the tortoise and set it free in the sea. Thanks to this simple act of kindness, Wang Qing was later rescued by the tortoise after a shipwreck, thus completing the message that a random act of goodness could someday save your life. Of note, this story could also be re-interpreted in a modern way, the question then being, did the other passengers deserved to die simply because they did not perform any ostentatious act of kindness? There is much to chew on regarding this. Supposedly, Su Wu treated his sheep well too. The diplomat was simply morally perfect. This rather neglected display near the Hell’s Museum tells the story of Su Wu, a Han Dynasty diplomat who lived between 140 BC and 60 BC. During a mission to bordering Xiongnu “barbarian” kingdoms, Su was captured and imprisoned for 19 years, much of which he was forced to herd sheep under harsh weather. In spite of this hardship, Su remained loyal to the Han Dynasty, never once giving up hope of returning to China and completing his mission. (He ultimately succeeded in escaping.) The story is thus an analogy for the classic Chinese morals of perseverance and faithfulness to the nation. Su Wu’s success in staying alive under captivity could also be interpreted as a lesson on making the best of one’s circumstances, no matter the overwhelming odds. The Ten Courts of Hell display is also known as Hell’s Museum. Here, no sinner goes unpunished. 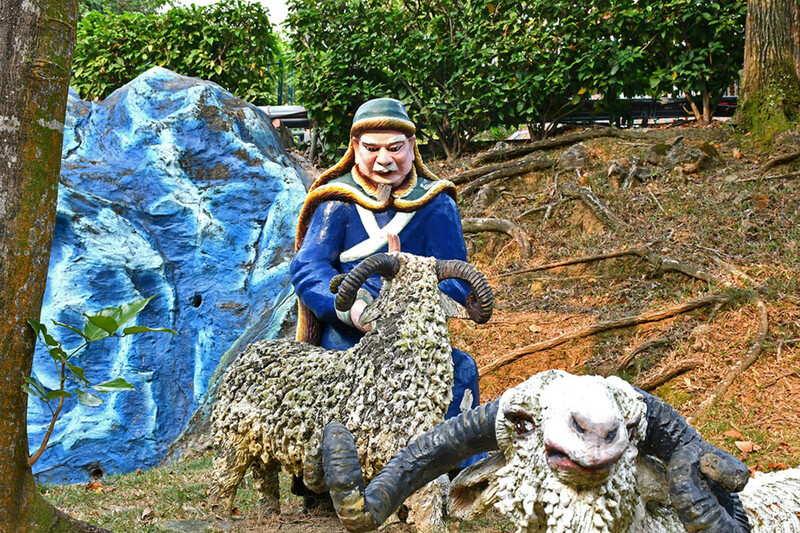 Haw Par Villa’s most terrifying display is the easiest to understand. Regardless of whichever hellish punishment you are staring at, the message is clear. Live wickedly and you will suffer for your sins in your afterlife. At the same time, the descriptions for each court also gives a good idea of what the Chinese consider as shameful, vile, or immoral. Correspondingly, what’s exemplary could also easily be deduced. 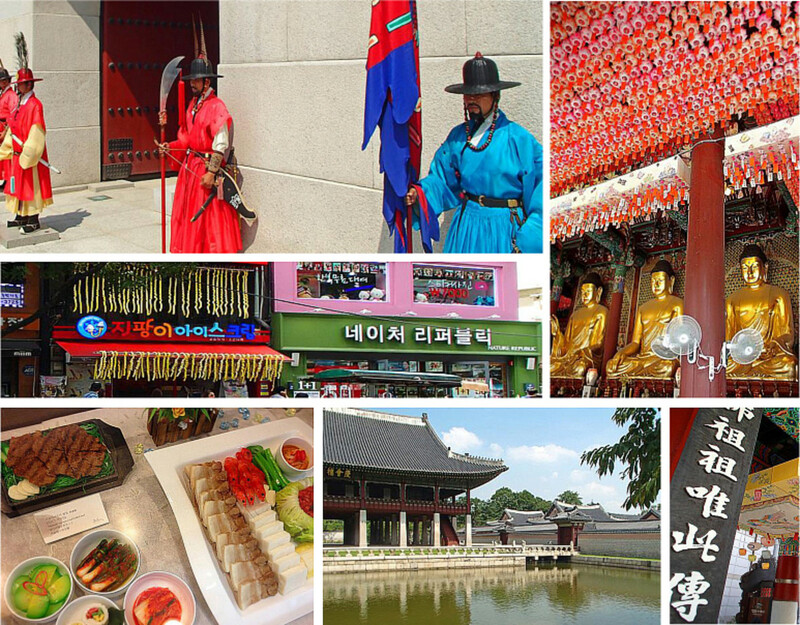 For example, filial piety is obviously regarded as a supreme virtue. Confucius, the Chinese embodiment of grace, honor, and morality. 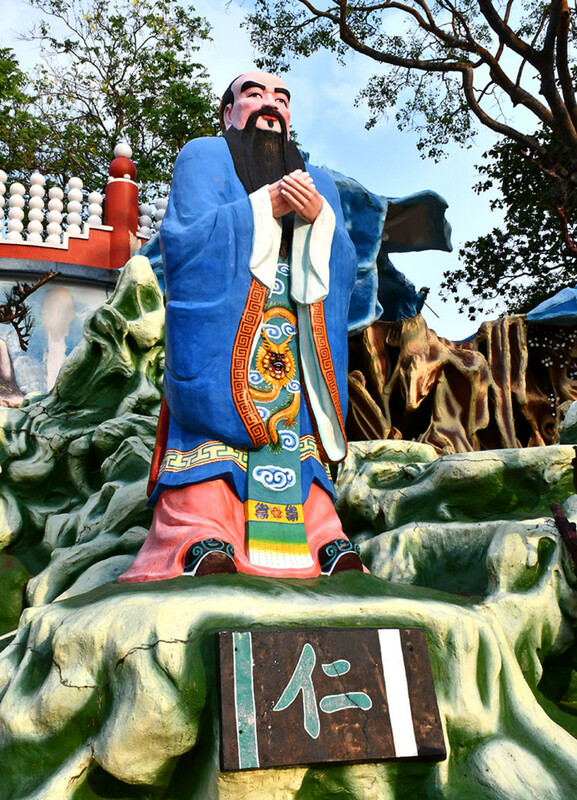 With most Chinese morals based on traditional Confucian teachings, it is only natural that the sage himself enjoys a prominent spot in Haw Par Villa. Displayed together with the Chinese character for benevolence, Confucius is the embodiment of the Chinese phrase, ren yi dao de (仁义道德), which means the way of benevolence and morality. 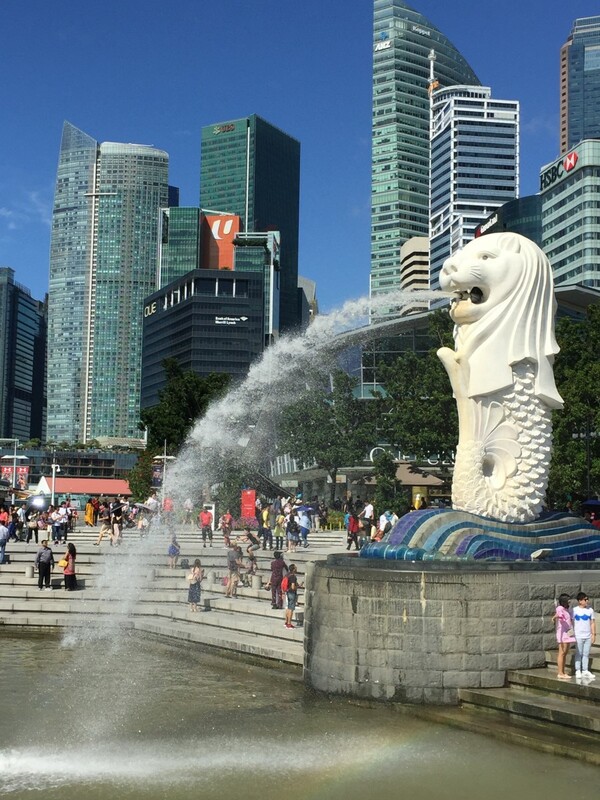 Without going into extensive details, this phrase could be considered as the foundation of all classic Chinese morals, the fountain from which all else stems from. In essence, it denotes “good” living based on kindness and grace to others. More importantly, it also stipulates that one honors his family, fellow men, and country. And never, ever shirk from responsibility to them. Thanks Liz! 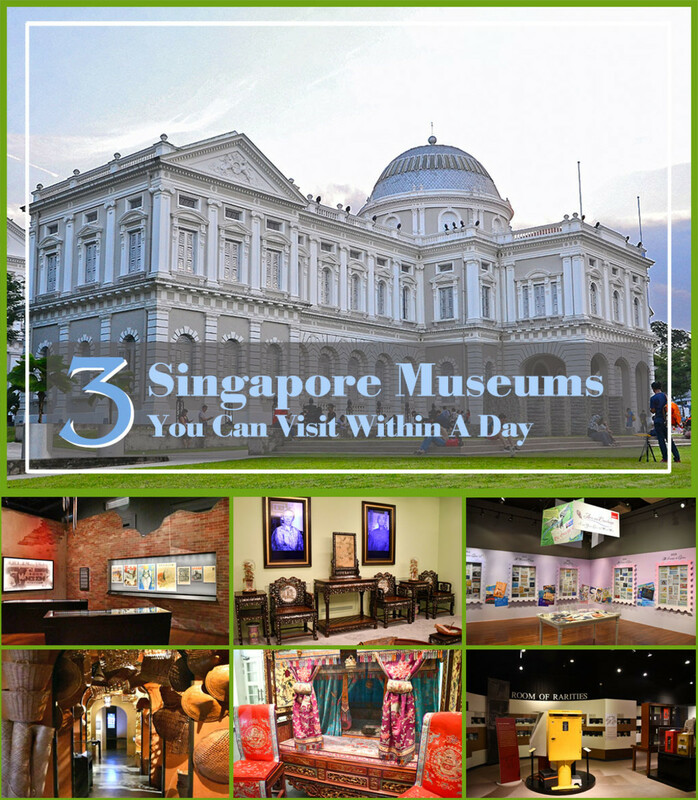 If you're ever here, please do visit this bizarre attraction. Enjoyed reading this. 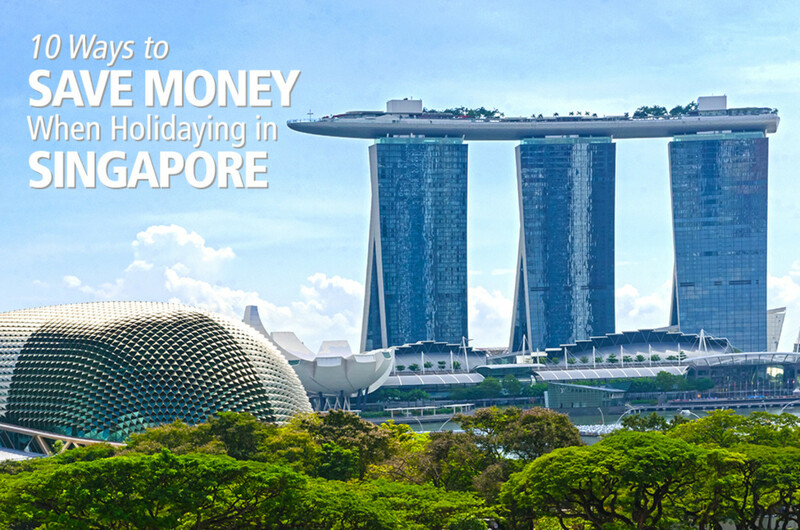 Next time I am in Singapore, I certainly will visit this place and with this background, I am sure I will enjoy it more. This is a well structured and well-illustrated article. It looks like an interesting place to visit.